The day before the race, we all attended a pre-race meeting at Ft Collins Club, they handed out our timing chips, walked through the logistics of the event, the rules. They outlined where the transition area would be set up, the snake swim, the aid stations and post race gathering and awards. Rules, which as is typical included: bike helmet required, no music during the event, meaning keep those plugs out of your ears or you will be disqualified; pass only on the left during the bike portion and announce “on your left” to the person you’re passing. They also mentioned that the event would only proceed if they felt the weather allowed for a safe event, which at that point was a big unknown. 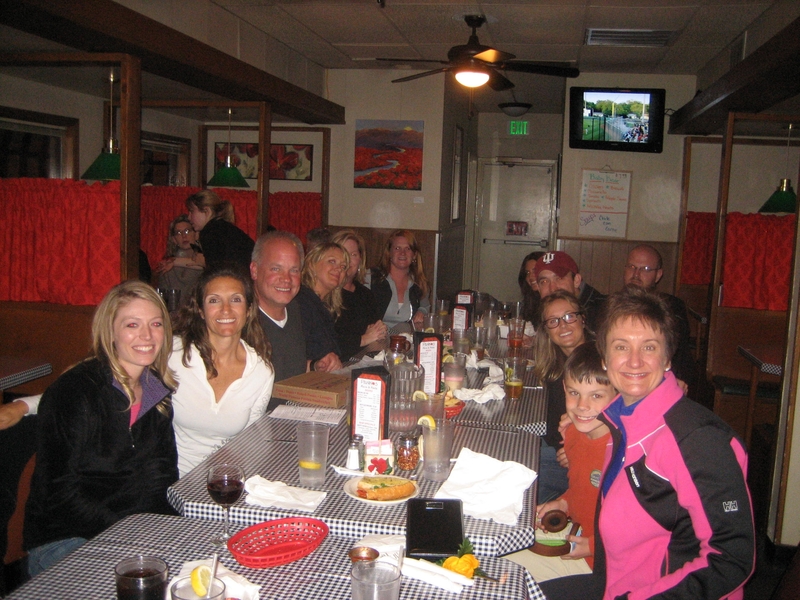 The night before the race my little group of aspiring triathletes gathered for dinner…guess what we ate? Pasta, yep, pasta the carbs were in full force. It was a cozy and happy little gathering but the conversation also turned to the weather. Snow, freezing rain was in forecast. We worried about if the event would be cancelled. And, if not cancelled would it be safe for us novice triathletes to continue on? That night I also got a final good luck email from Coach Cary where she gave me final tips and words of encouragement. She had said, if you have self-doubt during the race just remember this and tell yourself, “you trained hard, you are ready, you will do well.” Nice! This entry was posted in It's NOT the Destination...It's the Journey. Bookmark the permalink.